The return of EX- GIRL! It’s official! 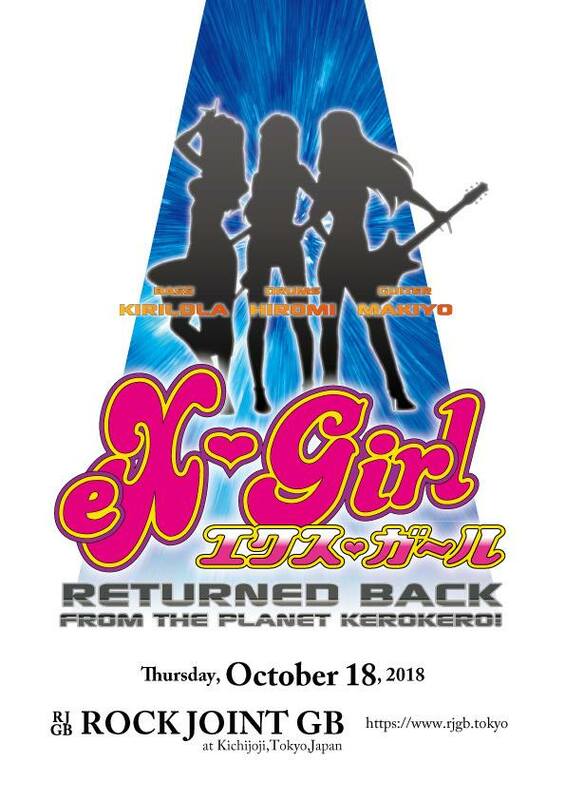 eX-Girl has returned from Planet Kero Kero and has announced their first reunion show on Thursday, October 18th at the ROCKJOINT GB in Tokyo, Japan with plans for both and US and European tours next year. eX-Girl main vocalist and bassist Kirilola has announced that she has found new members who “love Mother Earth” and are committed to help her bring back her psychedelic, spacious, and unique rock band that she started in 1997. Here once again from planet Kero Kero after an 11 year absence to save the Earth! The plan is to have several live concerts in Japan to power up with the new members before embarking on a tour of the US next spring, and Europe the following summer. The first show will be held in Tokyo, Japan at Kichijoji GB on Thursday, October 2018. Check http://exgirl.jp/ for more details! eX-Girl was formed in 1997, and they toured worldwide for 10 years, putting out a number of albums along the way. Compelling and captivating, eX-Girl can easily be ranked along side musical innovators such as Diamanda Galas, Zappa, B-52’s, Nina Hagen, Devo, Talking Heads and Laurie Anderson. The music as well as the live shows conjure up these comparisons. On stage the band incorporate performance-art aesthetics with wild costumes and intense energy. 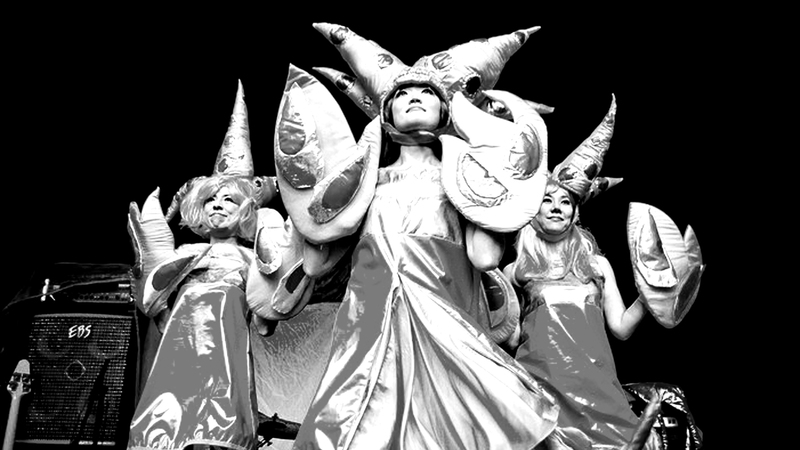 Donning enormous rubber wigs, frog-head masks and custom designed flower-power dresses, the band is instantly captivating. Their searing vocal harmonies and quirky choral chants combined with the unusual music they play truly gives the audience the feeling they are observing something quite other worldly. And as far as the band is concerned, they are! ALTERNATIVE TENTACLES RECORDS partnered with eX-Girl to release “Endangered Species” in 2004.